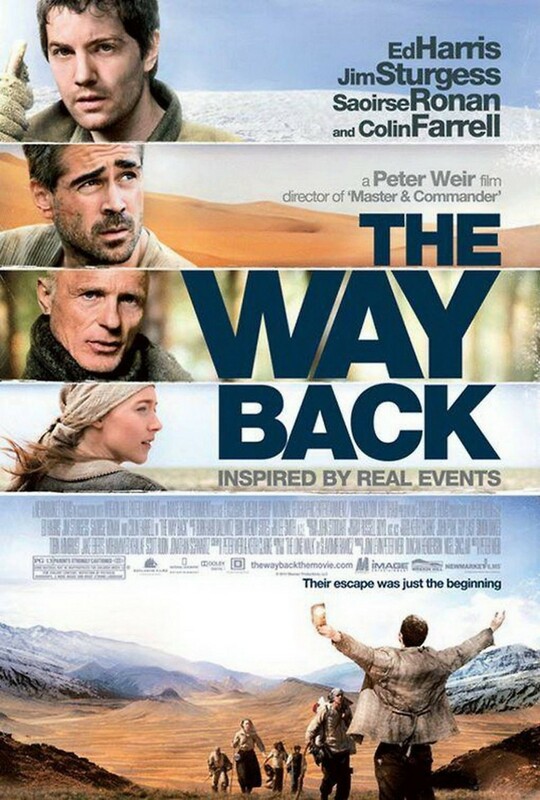 The Way Back DVD and Blu-ray release date was set for April 22, 2011. A Polish POW prisoner, Janusz Wieszczek, is interrogated about being a WWII spy, but refuses to break. The Russians send him to the Gulag to labor in Siberia for twenty years. At the Gulag, Janusz collaborates on an elaborate escape plan with an assortment of hapless prisoners of various nationalities. The men manage to escape during a raging snowstorm, which provides some cover. The path they take is treacherous. The men face freezing temperatures and harsh winter snow. Along the way they encounter, Irene, a Polish girl whose parents were killed by Russian soldiers. When they finally reach Mongolia, they realize it too is under Russian control. Getting to India is their only hope for freedom. Making it through the Himalayas requires their last bit of willpower.